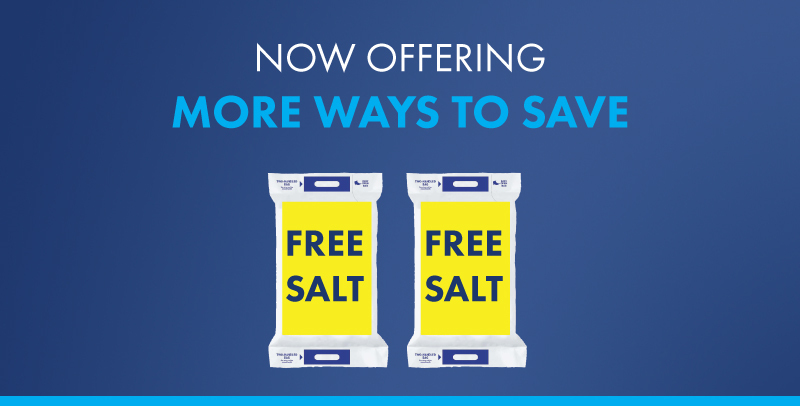 For a limited time, when you purchase a North Star Residential Water Softener, we’ll send you a coupon for two free bags of water softener salt. North Star Residential Water Softeners can be purchased by contacting your local rep. Thank you for your recent North Star Residential Water Softener purchase! Complete the following form to receive your FREE salt. Fields denoted with an * are required. *Promotion applicable for U.S. consumers only. Offer does not apply to wholesalers or plumbers. Limit 1 per household. Offer only valid on purchases of North Star Residential Water Softener models: NSC22, NSC31, NSC42, NSCWC, NST30ED, NST45ED1 and NST70ED1. Purchase must be made on or after 7/1/18. Coupon valid for any brand of water softener salt. Maximum value $14. Coupon will be sent by mail. Please allow up to 1-3 weeks for delivery. North Star is not responsible for lost or stolen redemptions. Limited time offer.